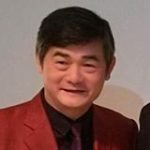 which type of splitter should I select? PLC splitter is a simple passive component which plays an important role during the applications of technologies like GPON, EPON, and BPON. 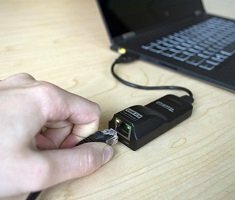 It allows a strand of fiber optic signal being equivalently split into several strands of an optical signal, which can support a single network interface to be shared by many subscribers. During the selection of a PLC splitter, split ratios should always be considered. 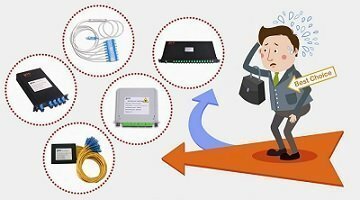 However, with the network cabling environment increasingly becoming more and more complex, various PLC splitter with different package form factors are being invented. Now the package form factor of the PLC splitter is also a key factor to be considered. This post will introduce the most commonly used PLC splitters in different package form factors for your reference during PLC splitter selection. 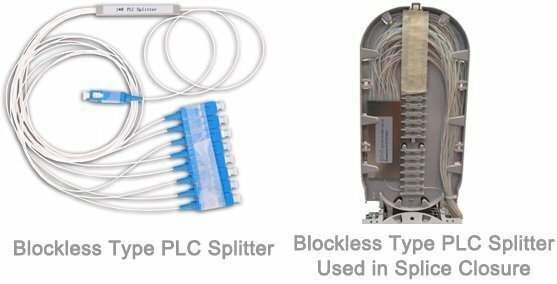 Blockless type PLC splitter is usually terminated with fiber optic connectors and it uses a compact stainless tube package. Meanwhile, blockless type PLC splitter requires the least space during cabling. They can be installed in fiber optic splice closure easily to provide FTTH signal distribution. ABS type PLC splitter uses ABS plastic box to hold the splitter chip. The inbound fibers and distribution fibers are arranged on the same plate of this ABS box, which can provide easier and more flexible cabling. Except for providing reliable protection, ABS PLC splitter can also be installed in a variety of boxes or enclosures. It is very common to install an ABS PLC splitter in a standard 19-inch rack unit. Insert type PLC splitter is now widely used in FTTx project, especially at the distribution points near the end users of the FTTx networks. Insert type PLC splitter provides fast installation and low space requirement helping to alert the deployment of FTTx projects. Rack-mount PLC splitter is designed to meet the requirement of high cabling density for data centers or server rooms. It can be firmly installed in a 19-inch cabinet. LGX type PLC splitter looks like an MPO/MTP cassette. It houses the whole PLC splitter inside a metal box and leaves fiber optic adapters for both inbound fibers and distribution fibers on its front panel. The LGX type PLC splitter can be used as stand-alone or be installed in the standard rack unit for better cabling. 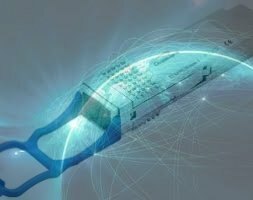 PLC splitter is a cost-effective passive optical component enabling a single network interface to be shared by two or more users. 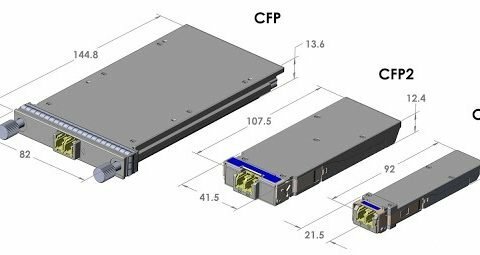 Selecting the right package form factor for PLC splitters can help a lot during both the network deployment and maintaining. The above mentioned PLC splitters in different package form factors are all being provided by Sun Telecom. Kindly contact us for more details if you are interested.